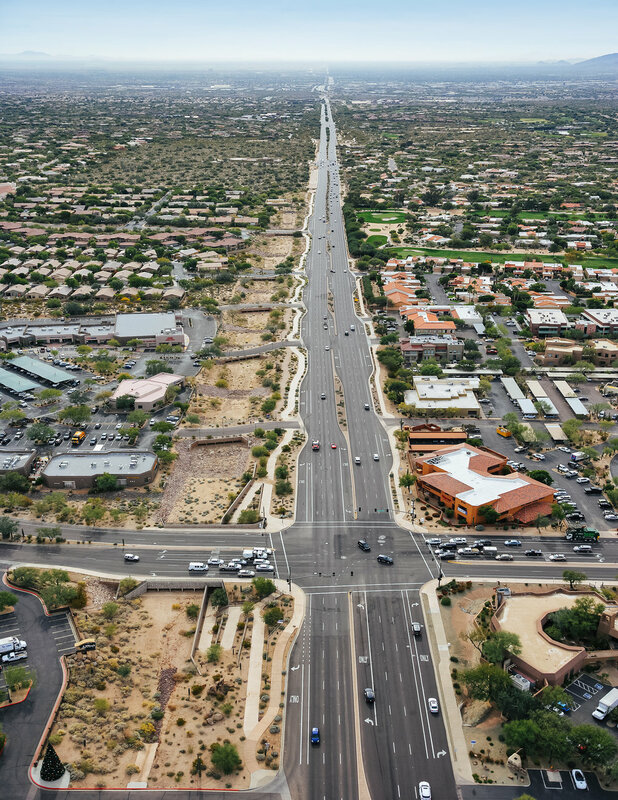 The project consisted of widening Pima Road to three lanes in each direction from the Deer Valley Road alignment to Pinnacle Peak Road. The entire roadway was reconstructed, integrating bike lanes, turn lanes and a new median. The project included installation of new storm drain pipe (approximately 8,000 LF of 78-inch RGRCP), catch basins, scuppers, drainage channels, box culverts, waterline relocates, sanitary sewer line relocates, asphalt paving (including rubber surface course), curb, sidewalk, sidewalk ramps, pavement marking and signs, pedestrian underpass, retaining walls, street lighting, ITS line, APS duct bank relocation, Cox fiber and coax relocation, Qwest fiber line relocation, Southwest Gas relocation, traffic signals, landscaping, tree and plant salvage, exposed aggregate concrete medians, multi-use path, and artistic rock walls with decorative railing. All concrete on the project was colored San Diego Buff. This project also showcases an official Scottsdale Public Art feature called "Alluvium". 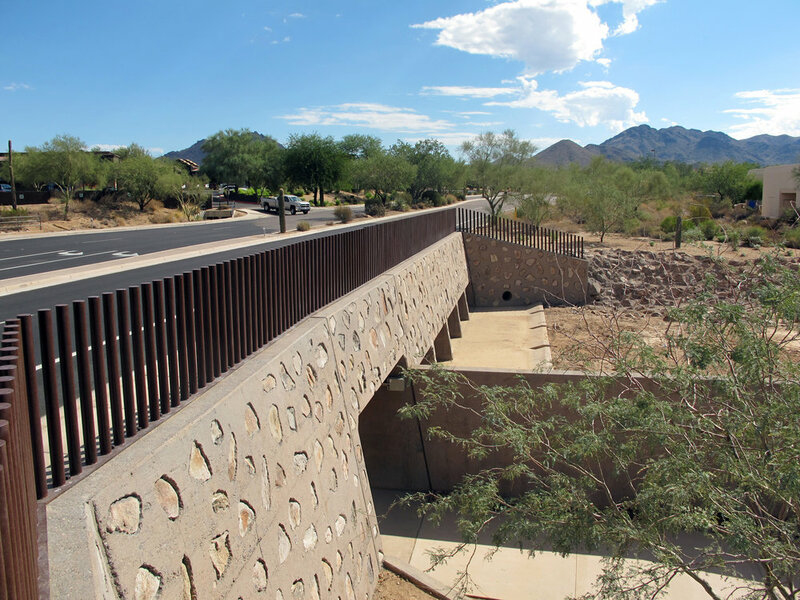 The installation by Texas artist Brad Goldberg includes a pedestrian underpass, sculptural railings, and a landscape feature, all located on the east side of Pima Road at the north and south corners of Pinnacle Peak Road. The landscape feature, on the northeast corner of Pima Road and Pinnacle Peak Road, is an arrangement of large granite boulders that evokes the nearby Pinnacle Peak. "It is as if Pinnacle Peak has been brought down to the scale of the user's experience through this ramped area. 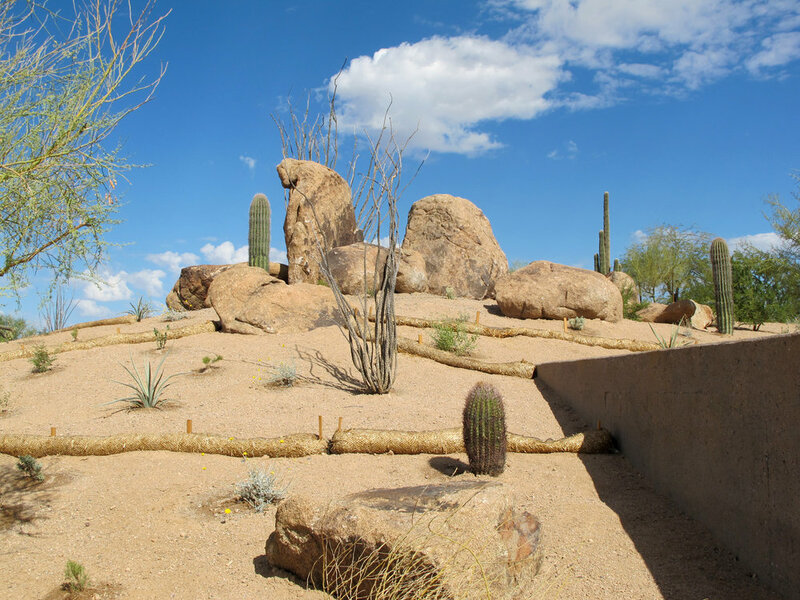 Plantings of the native species that exist in the specific Pinnacle Peak microclimate help create a project that integrates wholly into its environment, while creating a fresh approach to such public works of infrastructure," Goldberg said.